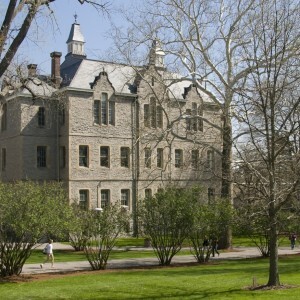 Renovation of an historic campus structure has re-established its place as a prominent student-centered destination. Bent & Skewed – A Good Thing! 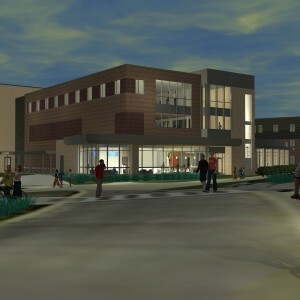 A new cluster-style living center is being constructed at Grand Valley State University where the design provides more human-scaled, intimate neighborhoods. 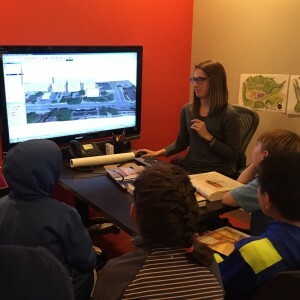 The Rockwood School District planned a field trip to Mackey Mitchell’s office as part of their Center for Creative Learning program. 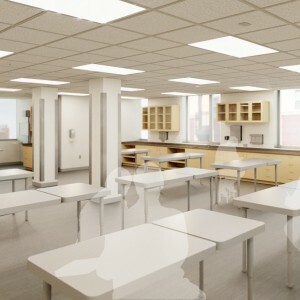 Renovation of Sampson Hall at Stephens College gives students specialized spaces for science and math.